Built 1864 by Jerónimo de la Gándara. Named in honour of the Spanish playwright and poet, Pedro Calderón de la Barca (1600-1681). Opened 29 Sep 1864 with a symphony, Calderón's "El Alcalde de Zalamea", and a ballet. 1995-1999 major renovation. Re-opened 9 Apr 1999. Used for opera, zarzuela, and drama performances, and for classical and popular concerts. 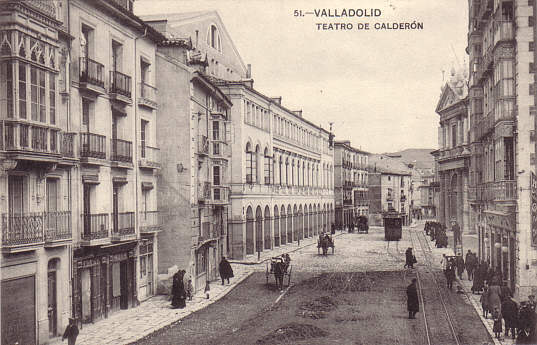 Front Text: "Valladolid, Teatro de Calderón"